Most animals come to The Gentle Barn to heal their hearts; Toulouse came to The Gentle Barn to have her heart broken. 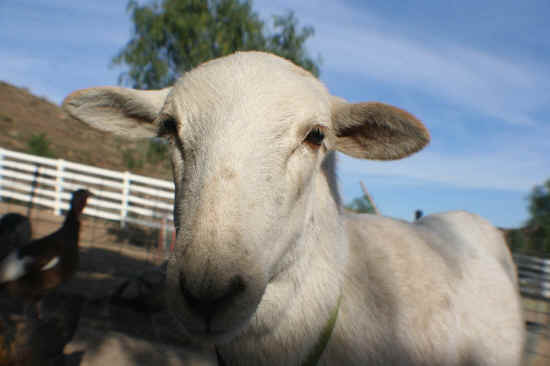 Toulouse is a five-month-old little lamb, who up until this weekend lived with a family, as part of the family. She lived in their house, slept in their bed, and even watched TV with them on the couch. It was a dream come true, until the family was reported to animal control for zoning violations. In a desperate attempt to try and keep their baby, the family went around the neighborhood, talking to the neighbors in a vain attempt to smooth things over. But, last week, someone threw a brick at the lamb and the family had to come to terms with the fact that their little girl was no longer safe in their house. 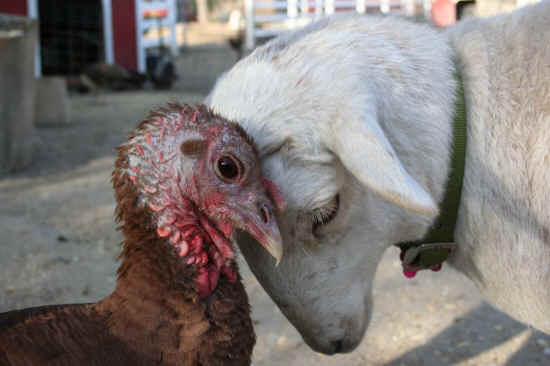 They brought Toulouse to live at The Gentle Barn, knowing that she would be safe. It was a heart-wrenching rescue, when the family left Toulouse with tears streaming down their faces, and the lamb frantically tried to find her way out to her people. She has finally stopped crying, but we know that her heart still longs for her human mom and family. We're desperately trying to acclimate Toulouse to our barnyard, but in order for it to be successful, she needs a lot of human companionship, while she gets to know the other goats and sheep and other animals at the sanctuary. We are asking people to donate some time over the next couple weeks. It would mean a great deal to Toulouse and us if you could come and take her for a walk, or just sit by her and pet her. For more information about the work The Gentle Barn Foundation does for other-than-human animals and human animals, visit their site, and find out how to visit their sanctuary in Santa Clarita, Southern California. Visit our image gallery to see some of the horrors people inflict on sheep and lambs for wool, for food, for ritual sacrifices.